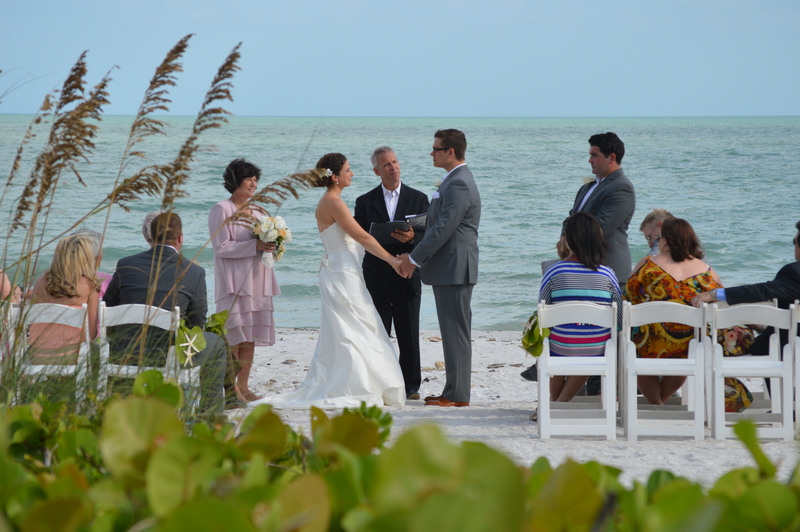 It was an absolutely magnificent afternoon this past Saturday for Jennifer and Brock’s destination wedding at Casa Ybel on Sanibel Island. After Jennifer was escorted by her father across the sand, she joined Brock at the head of the aisle with an amazing view of the Gulf of Mexico as their backdrop. There, in an intimate ceremony with family and friends, the couple shared their vows, exchanged rings, and were pronounced husband and wife by Rev. Rick Lackore of Sensational Ceremonies, LLC . The venue coordination was provided by Lea O’Brian and her staff at Casa Ybel. This picture was provided by Tammy Lackore. Congratulations to the new Mr. and Mrs. Brock Lambert!